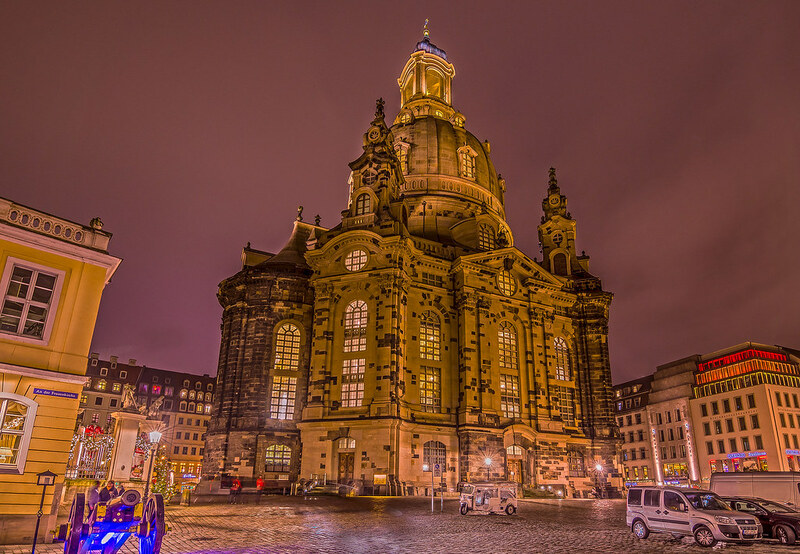 Important: Dresden visitors must pay the Lodging Tax for private overnight accommodation in hotels, guesthouses etc. More information is provided by this leaflet. You will receive a letter issued by TUD applying for a tax exemption during the registration procedure. You are strongly recommended to present this letter at check-in, or at least mention that you will bring such a letter during your stay. Important: please note, there exists tickets for the public transport in Dresden that are valid for one week. These tickets can be purchased in all ticket machines. Map of the close area around the conference. How to find a place for lunch? There are three locations that offer lunch close to the faculty of computer science. Inside the building there is also a small cafeteria, the ascii dresden, that offers coffee and other drinks, as well as small snacks. How to find the "Dülfer Saal"? Alte Mensa, Mommsenstr. 13; "Dülfer Hall" (M13/DÜLF) 1st floor, above entrance Dülferstraße. See [24a] on the map. Alternatively see this map of the close area around the conference (labeled with "Robocup"). The Department of Computer Science is located on the TU Dresden campus, in the south of Dresden, at Nöthnitzer Straße 46. It can be reached by the city tram line 3 (stop Nöthnitzer Straße). Here change to bus number 85 into direction of "Striesen". The second bus stop "Helmholtzstraße" is directly in front of the computer science building. Arrival by train From Dresden central station (Hauptbahnhof) take tram no. 3 into direction Coschütz and get off at the third stop "Münchner Platz", walk "Georg Schumann Straße" up to "Nöthnitzer Straße" and see the computer science building on the opposite side. Alternatively, to minimize walking, continue for one more stop to "Nöthnitzerstrasse" and change to bus number 85 into direction of "Striesen". The second bus stop "Helmholtzstraße" is directly in front of the computer science building. Arriving at Dresden-Neustadt Station, please take tram no. 3 into direction Coschütz and get off at the tenth stop "Münchner Platz", walk "Georg Schumann Straßee" up to "Nöthnitzer Straße" and see the computer science building on the opposite side. Alternatively, to minimize walking, continue for one more stop to "Nöthnitzerstrasse" and change to bus number 85 into direction of "Striesen". The second bus stop "Helmholtzstraße" is directly in front of the computer science building. Arrival by plane Arriving at Dresden airport, take the S2 train from the underground terminal and go to the central train station (Dresden Neustadt). From there take tram no. 3 into direction Coschütz and get off at the stop Nöthnitzer Straße. A taxi from the airport will take about 30 minutes (fare: approx. 16-20 Euro). Arrival by car Traveling to Dresden by car leave the motorway A4 at Dreieck-West and take the A17 in the direction of Prague. From motorway A17 take the exit Dresden-Südvorstadt and follow the B170 to Dresden. At the sign 'Plauen' turn left into Nöthnitzer Straße. Faculty building is on the left side. There are plenty hotels in Dresden available, close to the faculty, as well as close to the old part of the city, or close to the main station. From the main station you can easily reach the faculty. We will not reserve accommodation in advance. Hence, please book your accommodation early enough.